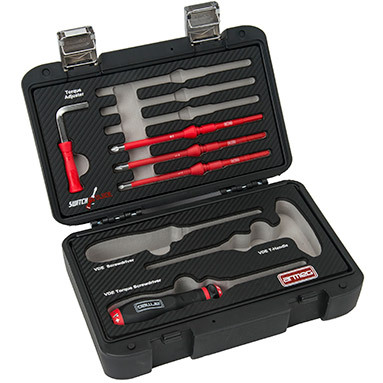 RRP: £104.07 (+VAT). SAVE £29! 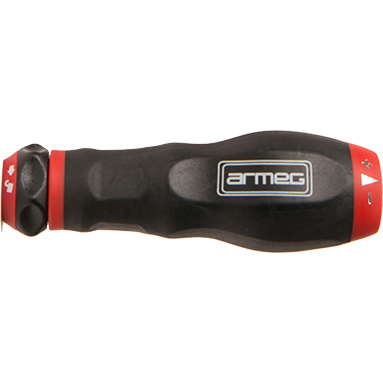 Armeg 5 piece VDE adjustable torque screwdriver set is part of Armeg's Switch-Blade range, designed to be the ultimate interchangeable VDE screwdriver set. 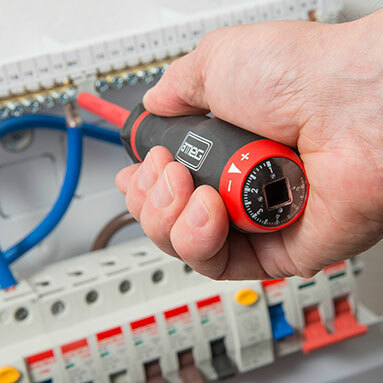 This set features an interchangeable 1000V VDE adjustable torque screwdriver handle which is ideal for tightening MCB & RCD connections to the manufacturers' recommended torque level, as required by BS7671:2008. The torque can easily be adjusted between 1-6Nm to a tolerance of +/- 6%. This torque range provides the versatility needed to meet different manufacturers' requirements. Distinctive white markings and audible clicking sounds make it easy to identify and adjust torque levels as required. 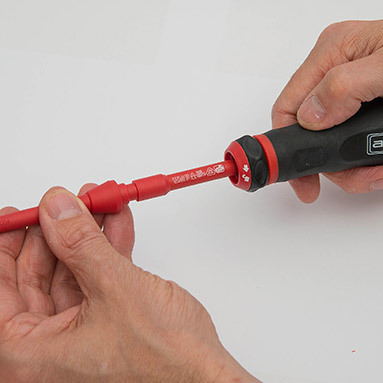 The handle is designed to work with 12 interchangeable VDE blades (sold separately) to provide the flexibility required to work on a variety of live installation applications - saving you time, space and money. 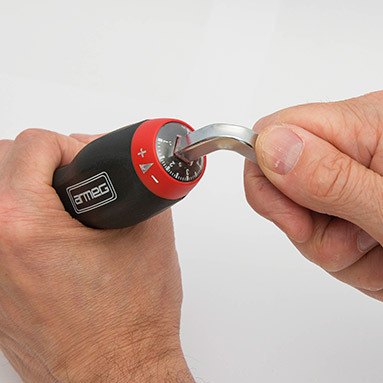 The interchangeable blades simply click into the handle, while the quick-release twist mechanism allows them to be removed easily. 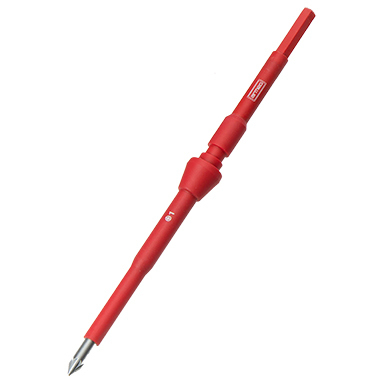 The handle is 1000V VDE rated for confidence and safety when working on live installations.